Are You Ready for the New Country Music Hall of Fame? NASHVILLE, April 16, 2014 – The Country Music Hall of Fame® and Museum celebrated a major milestone Tuesday afternoon, April 15, as it unveiled its 210,000-square-foot expansion, more than doubling the size of its iconic home in downtown Nashville. The grand opening ceremony, made possible with support from Ford Motor Company and the Middle Tennessee Ford Dealers, took place in the museum’s Event Hall overlooking the Nashville skyline. Read more about Are You Ready for the New Country Music Hall of Fame? Nashville, TN -- The Country Music Hall of Fame® and Museum will officially reveal the final phase of its state-of-the-art expansion on Tuesday, April 15, at 1:15 p.m. with the opening of an additional 10,000 square feet of dynamic new exhibit space. The grand opening ceremony is supported by Ford Motor Company and the Middle Tennessee Ford Dealers. 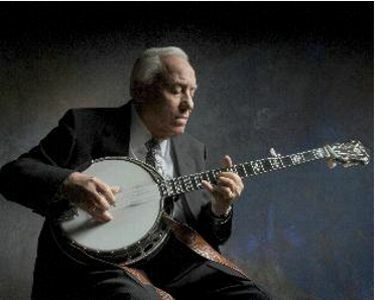 Shelby, NC - After a half decade of planning and research, the Earl Scruggs Center—an interactive museum showcasing the life and music of bluegrass legend and Shelby-native, Earl Scruggs—will host the public for a full weekend of grand opening festivities. Located in the 1904 Shelby Courthouse on Court Square in downtown Shelby, NC, the center is home to a variety of exhibits that highlight the music, instruments and region that shaped Scruggs’ distinctive style. Join The Earl Scruggs Center Saturday, January 11, 2014 at 7PM, as they celebrate the Grand Opening of the Earl Scruggs Center: Music & Stories from the American South. Sam Bush will be performing for The Earl Scruggs Center Grand Opening event in Shelby, NC. 'Remembering Earl: Music & Stories' will feature performances by Sam Bush alongside Vince Gill, Travis Tritt, Rob Ickes, Jim Mills, Gary Scruggs and Randy Scruggs. Enjoy a bluegrass "Jingle Bells" below, featuring Sam, Earl and more!